It was, of course, an exaggeration – the original statement lamented over the ineffectiveness of the Budapest Memorandum and its security assurances for nations that renounced their nuclear weapons. Talk of the renuclearisation of Belarus is not purely theoretical. Minsk likely still possesses some amount of enriched uranium. Feasibly, Russia can convince its Belarusian ally to redeploy Russian nuclear arms within its borders. Can Belarus de facto go nuclear by allowing a Russian military base to be established on its territory? Was Belarus Ever a Nuclear State? Indeed, the Soviet army deployed tactical and strategic nuclear arms in Belarus. Yet after independence, the Belarusian government never took control of them, but instead adhered to the principle of denuclearisation that was proclaimed back in 1990. Belarus had already suffered seriously in the aftermath of the Chernobyl nuclear catastrophe and wanted to rid itself of all things nuclear. Furthermore, Minsk – despite its formal right to all facets of its Soviet heritage including its nuclear arsenal – never had any real chance to get its hands on any nukes. Both Western powers and Russia steadfastly opposed the fragmentation of the Soviet nuclear arsenal. Only Ukraine made irresolute attempts to hold nukes for itself, but finally, joined in with Belarus and Kazakhstan who solemnly gave up nuclear arms that, in reality, they never effectively possessed. Initially, nobody questioned the denuclearisation of Belarus. The opposition itself boasted of inserting the tenet of denuclearisation into the young nation's Declaration of Independence. In 1996, President Lukashenka proposed to establish a nuclear-free zone in Central and Eastern Europe. In 1999, he confirmed that Belarus had no intentions of becoming a nuclear power again. These kinds of statements indicated an independent line of thought, as they contradict Russia's potential plans to move their nukes westward of Russia's borders. Yet from the mid 2000s, the mood in Belarus has changed. In 2007, Russian Ambassador Alexander Surikov hinted at the possibility of Russian nuclear arms being redeployed to Belarus in the face of NATO expansionism and American plans to install a missile defence system in Central Europe. Moreover, “If we had those weapons now, we would be treated [by the West] in another way [than we are].” In January 2014, opposition politician Siarhei Navumchyk expressed a similar opinion, accusing Shushkevich of improperly giving up the nation's nukes. Does Belarus Have Materials For a Bomb? Belarus retains about two tonnes of Soviet-era uranium which theoretically enables it to start its own nuclear weapons programme. In 2010, Lukashenka emphasised that Belarus still possessed highly enriched uranium, hundreds of kilogrammes of both effectively weaponised and less enriched nuclear material. The former Chairman of Parliament Shushkevich disputed this claim. The Belarusian government to this day insists that scientists use this uranium only for research and medical purposes. The Belarusian government to this day insists that scientists use this uranium only for research and medical purposes. Lukashenka said that both the US and Russia have for years tried to take Belarus' uranium stocks away from him. The Belarusian leadership hesitated to give it up after a December 2010 bilateral meeting, where Belarusian Foreign Minister Siarhei Martynau and the US State Secretary Hillary Clinton adopted a joint statement on Belarus' plans to relinquish its deposits of enriched uranium by 2012. But the December 2010 presidential election in Belarus led to a new round of deterioration in relations with the West. Before the government suspended the outward bound transfer of uranium, only ten per cent of Belarus' highly enriched stock were shipped to Russia. The director of the United Institute for Energy and Nuclear Studies Vyachaslau Kuushynau in August 2011 said that the transfer of nuclear fuel would continue after relations with the US improved. So far, the situation has not changed, although the US and Russia have succeeded in getting other post-Soviet nations (e.g., Ukraine and Uzbekistan) to transfer highly enriched nuclear-active material to Russia. In April 2013, the Belarusian delegation at a session of the Preparatory Committee for the Review Conference of the Parties to the Treaty on the Non-Proliferation of Nuclear Weapons threatened to reconsider the nuclear status of the country. It argued that by introducing sanctions against Belarus, the US and UK had violated the Budapest Memorandum's security guarantees for the independence and sovereignty of Belarus. Therefore, Minsk also could stop abiding by terms set forth in the Budapest Memorandum. Indeed, the third point of the memorandum explicitly obliges the guarantors (Russia, US and UK) to avoid economic pressure on Belarus. The US Embassy in Minsk explained that the memorandum had no direct legal power and the sanctions against Belarusian enterprises did not amount to economic pressure as they were aimed at stopping the proliferation of weapons of mass destruction and human rights violations. Can Belarus again de facto go nuclear by allowing a new Russian military base be established within its borders? In February, the United Civic Party announced their suspicions that Russian aircraft that had been regularly deployed to Belarus since last December might have nuclear weapons. In reality, however, Su-27P fighter jets is only capable of air-to-air attacks, making it absurd to talk about them carrying nuclear payloads. The redeployment of Russian nuclear forces in Belarus will take time. After independence Minsk did not pay much attention to the abandoned military sites that previously used to house nuclear arms. As a result, the sophisticated infrastructure has long since collapsed. As former officer of the Strategic Missile Forces Vladimir Evseev commented to Belorusskaya Gazeta, without proper maintenance a missile silo soon becomes dilapidated and it might even be cheaper to demolish it and construct a new one. The current Belarusian government has not exhibited any risky behaviour, no matter the arena. It is a survivor regime. Minsk knows it will pay dearly for tinkering around with any nuclear-active material. It would appear to the world that they were in the business of building bombs – and neither the West, nor the East likes the idea of Lukashenka with a bomb. The Belarusian regime is also well aware of the fact that Belarus lies between Russia and the EU and NATO. 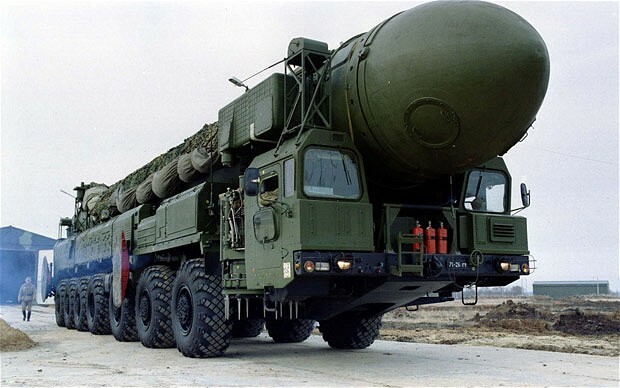 Russian nukes in Belarus will provoke confrontation in the region. Such confrontation can make Belarus even more dependent upon Moscow - something which very few from the Belarusian elite wants.